I love Apple products. Seriously. I do. They have liberated me from a life of ONLY using windows into a world of creativity and ease of use. Over 8 years ago they made helped me switch from a life of cleaning up temporary files and cookies on Windows 2000 machines to a computer environment that allowed me to compose music, record podcasts, edit video’s and do so much more. On a Mac it ‘just worked’. I still use Macs today.  The high quality of their hardware is exceptional but unfortunately , so are their prices. Over the years a rift has arisen between what I demand of an operating system and what Apple has to offer. The fact that I have become a slider , who switches from OS to OS to get stuff done is not always very compatible with some Cupertino’s hardware and software interoperability’s. (Read : vendor lock in). Luckily I am free to choose : I hop from Linux to Windows to OSX and use the best operating system for the task. I’m free .. free to “leave the walled garden” when I want to. To be honest : Niejana doesn’t use the Mac for that one thing that makes a Mac special : A reliable multimedia workhorse. She uses it to surf , do administrative tasks, manage her emails , her photos and stuff like that : No Final Cut Pro , Logic or any other of the great Apple production tools. So I asked the question : Why not keep the machine but ditch the OS ? Time for a light weight alternative. Linux is the obvious answer. It runs on almost anything and has a high degree of versatility. Its many graphical interfaces are strange, alien and mostly built for and by geeks. But that was not what we wanted : The goal of this project was to offer the SAME experience .. only faster. So what LOOKS like OSX but IS in fact Linux. The answer : Elementary OS. So I bit the bullet, downloaded the 64 bit version of Elementary OS and installed it on the system. (No dual boot, no nothing). I don’t recommend going through this route if its your first time running Linux on a Mac. ( See our “Dual boot” articles to learn how) Elementary LOOKS like OSX and is a beautiful combination between the complexity (and power) of Linux (Elementary is based on Ubuntu 12.04) and a simple interface that LOOKS like OSX. Installing the standard tools Niejana uses ( Chrome, Thunderbird, Openoffice, access to Gmail and stuff) was not hard, because we largely use “slider friendly” applications in this house. Next morning I just pointed at the machine, told her the “close” button was gonna be on the other side of the windows, and left for work. Time to jump the walled garden. So was I done ? No, I was just beginning. 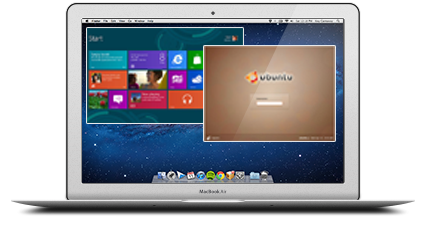 This is a cross platform household with Macs, Linux machines and Windows machines. That meant I also need to “liberate” all the data from iTunes and iPhoto into an environment that would be accessible to both our remaining macs AND our linux machine. This week you will get more tips and tricks about “liberating” your data from a proprietary application like iPhoto, iTunes, iCloud and others so you can access them in a “slider-friendly-world”. Installing Elementary was just the beginning. Because whoever told you can only play YOUR music in CERTAIN application on SPECIFIC hardware … was wrong. 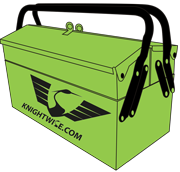 “Whats in your bag week” Day 4 : Knightwise. 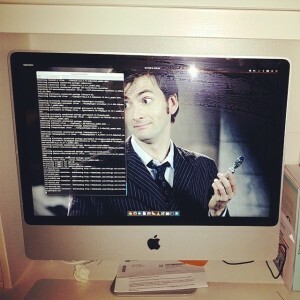 kw704 : Elementary OS and Thor Squared. Talk to your tech : Dictate your terms in Apple Mavericks. There is not a lot that is really “New” in OSX Mavericks. Aside from braking a lot of stuff (Like for example Wiretap Studio, Mountain Lion-server, mail and more) there are a couple of interesting new tricks hidden under the hood. 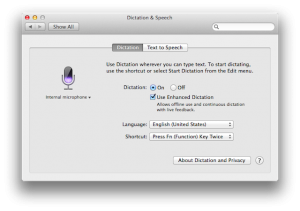 The voice dictation has been around in both IOS and OSX for quite some time. Unlike on Nexus devices, this worked by sending up whatever you “said” to the computer to Apple servers to be analysed, translated into text and sent down again. It was pretty cool to do once or twice, but depending on your internet connection it could be a little laggy. It would also keep breaking my concentration (and conversation) as the words on the screen would not ‘keep up’ with my trail of thought. In OSX Mavericks you can now have that “voice dictation” ability available “offline”. No more sending your deepest thoughts towards a giant datacenter for analyzing .. Just a quiet one on one between your computer and you. Press your function key (fn) twice and .. start talking. How to let it work for you ? also nice for tweets and chats .. you are really FAST on IRC this way. Fantastic if your fingers are covered in peanut butter and you don’t want to ruin your keyboard. So how do YOU talk to your tech ? Tell us in the comments section. Server Week: What is OSX Server and Why Would a Home User Need One ? Its time to dive back into the audio podcasting after your Double Topping of F.A.C.T.S. video coverage last week. This week we grill wiseguy Thor about his experiences with Elementary Linux, a Distro spin on good old Ubuntu 12.04 with stunning looks and a soft spot for the hardware impaired. Afterwards we give you a last echo of the F.A.C.T.S. event with an interview we did with the people of Brainfreeze about one of Belgium’s most popular Manga & Anime websites and talk a little about Thor and why it is I am unable to lift Thor’s hammer. We did have a little issue with the audio quality in the intro and outro of the show, so we hope you forgive us for this little blunder, it will all be fine next time .. We promise. We got a nice and juicy hardware review for you on one of our favourite topics : Laptop bags. We take a closer look at the 13 inch Macbook pro and iPad attache Case (what a mouthful) from Thule. We take a good and decent look at the appearance, style and finish of Thule’s carry-case for the Macbook pro .. but most importantly we answer the question no-one dares to ask : Is it waterproof ? 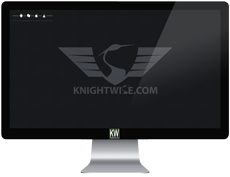 All of that and more in this weeks Knightwise.com podcast. We dive behind the microphone and give all of you Apple users a slice of pie you don’t want to pass up on. We talk about making your Mac “Slider” friendly and how to put up ladders and crawl out of Apple’s walled garden. We have quite a slew of interesting tips and tricks on how to run “cross platform” applications, files, filesystems and connections through your favorite Mac. Learn and listen to this episode of the podcast that is filled to the rim with community feedback and contributions and great music by Youtube princess Juless. Remapping your brain and your body. 20 Best command line hacks. Make executable scripts on OSX. Use Virtualbox in Seamless mode. #don’t reopen every file when you reopen your app.